This is CME on ReachMD. The following activity featuring, The Role of Allergy Testing to Achieve Personalized Treatment Goals for Allergic Rhinitis and Asthma, is provided in partnership by Prova Education, and supported by an independent educational grant from Phadia US Inc., a part of Thermo Fisher Scientific. Before beginning this activity, please review the learning objectives and disclosure statements. Here’s your host, Dr. John Russell. With over 20% of the world’s population suffering from allergic respiratory conditions like asthma and allergic rhinitis, the need to identify triggers and initiate targeted immunotherapies has become a priority for physicians. Allergy testing is therefore crucial to any successful management plan. And on today’s program, we’re going to focus on its appropriate applications to guide diagnosis and treatment. This is CME on ReachMD, and I’m Dr. John Russell. Joining me to discuss best practices in allergy testing to improve patient outcomes is Dr. Henry Wojtczak, pediatric pulmonologist at the Naval Medical Center in San Diego, California. Dr. Wojtczak, welcome to the program. John, thank you for inviting me to participate in this important CME activity. So, as a primary care doctor, I have a case I want to work with you on. my patient’s a 13-year-old boy whose had longstanding cough and runny nose. He coughs frequently, especially during the night, has to get up several times to blow his nose, not sleeping well. His mother is very concerned. His grades have been dropping, he has daytime sleepiness at school, he’s having trouble concentrating. His teacher got upset he fell asleep in class. When I’m taking a review of systems, he says when he has basketball practice he sometimes has to stop because he can’t breathe. When I examine him, he has inflamed conjunctivae, he’s got dark circles under his eyes, he rubs his nose a lot during the visit. In a review of his medical history, he’s taking some over-the-counter antihistamine, and he does have a short-acting beta-agonist that I’ve given him when he really feels short of breath. So, in thinking through his case, how common is allergic rhinitis and asthma, and what burdens do you place on both parents, patients, and the healthcare system? Well, allergic rhinitis is the most common chronic disease in childhood and it affects up to 40% of children, and then moving into adulthood, up to 30% of adults in the United States. Focusing on asthma, 1 out of about every 12 people in the United States is affected by asthma. Allergic rhinitis can be associated with significant comorbidity, including sinusitis, or worsening the ability to control asthma. Both of these conditions can have a significant negative impact on the patient’s quality of life, as well as affecting the caregivers in the home, ability to function at school and/or work, and frequently leads to what I call a lot of reactive care, or frequent medical visits. If we look at it from a dollar standpoint to the U.S. healthcare system, allergic rhinitis is estimated to cost almost $25 billion a year and asthma costs are upwards of $80 billion. So, therefore, both of these conditions demonstrate a significant impact on our healthcare system. Evidence-based care of patients with both of these conditions, especially for high-risk groups, can result in more appropriate utilization of healthcare services and decreased healthcare costs. Unfortunately, both of these conditions are frequently ignored, both by caregivers, patients, and even by the healthcare community, and frequently misdiagnosed. In addition, what I see is a low referral rate to specialists when the primary care provider is struggling with obtaining complete control and/or confirming a diagnosis. So, when I’m talking with this mother about what I’m going to do next, how central or important in your mind is allergy testing and management of this young man? Well, this young man is presenting with a very classic history for environmental allergens, and so this is one of the large gaps within the evidence-based management—both of these disorders are, allergic rhinitis and asthma—the underuse of allergy testing. Allergy testing can help confirm a diagnosis, can identify individual triggers that can be avoided or targeted with immunotherapy. For instance, in an observational study of 250 patients in a real-life setting, over 60% had uncontrolled allergic rhinitis, but only 50% were on more than 1 therapy, and only a minority were receiving allergen immunotherapy. So, if we think about the indications for who should be allergy tested, if one has a clinical history and exam suspicious for an allergy-based disorder of the upper or lower airway, allergy testing can confirm a suspected allergy, can be used to monitor the cause of food allergy over time, both skin-prick testing and specific IgE blood testing, is not recommended as a general screen to look for allergies in patients who are symptom-free, or to test for drug allergies. . So, it sounds like skin testing might be a good thing for my patient, but it’s not just skin testing anymore. We have more than 1 option, correct? Absolutely, so even less recognized amongst the primary care community is the availability of measuring allergen-specific IgE levels in a blood test. Everybody’s quite familiar with allergy skin testing; the majority of guidelines look at the allergen-specific IgE blood test as being equivalent to formal skin-prick testing. Understanding the benefits and limitations of each of these methods is important for the provider to choose the best test option for the patient. So, situations where blood testing and measuring allergen-specific IgE is different than skin testing or might be more helpful will be in the younger child where skin testing may not be as helpful or a child who has severe eczema and skin testing is impractical. A patient who is on therapies for allergy already, which may interfere with skin testing, this has no effect on blood testing results. And blood testing also requires generally 1 venipuncture and might be more comfortable and convenient for many patients as opposed to multiple skin pricks or a scratch test. the blood testing is still generally referred to under the generic label of RAST testing. RAST testing is the older, early version of this approach, and in modern day now we have much newer enzymatic assays that are based on anti-IgE antibodies. It’s much more sensitive and specific in identifying a sensitized state in which an allergen-specific IgE is present. I do want to point out that sensitization on a blood panel test does not equal clinical disease. One needs to start off with a thorough comprehensive history and physical, including environmental exposures, symptom changes in different environments, and then correlate that to the results on the blood test. For those just joining us, this is CME on ReachMD, and I’m Dr. John Russell. I’m with Dr. Henry Wojtczak, and today we’re discussing the role of allergy testing in creating a personalized treatment approach for patients with allergic rhinitis and asthma. Dr. Wojtczak, could you summarize the most recent evidence-based guidelines for incorporating allergy testing in treatment approaches? So, let’s start with the National Heart, Lung, and Blood Institute, and the National Asthma Education guidelines. These guidelines include recommendations for allergen avoidance, avoiding exposure to triggers, and the use of allergy testing for all patients deemed to have persistent asthma. In addition, immunotherapy would be a consideration in specific situations, and this would be a patient who I would need the assistance of one of my allergy and immunology colleagues to manage. 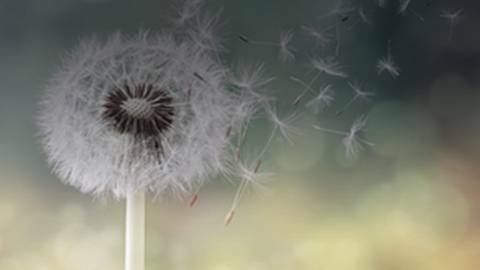 Now, the Allergic Rhinitis and its Impact on Asthma guidelines were recently updated in 2016. These guidelines include specific recommendations for choice of treatment of allergic rhinitis and describe specific considerations for choosing appropriate individualized treatment. If we look at Europe, the European Academy of Allergy and Clinical Immunology Task Force on allergen immunotherapy published their recommendations in 2017. In terms of allergen immunotherapy, they state that this represents the only currently available treatment that targets the underlying pathophysiology and may be disease-modifying. So, one cannot consider allergen immunotherapy until we know what aeroallergens the patient is sensitized to. A recent consensus algorithm from the United Kingdom focusing on improving the diagnosis and treatment of allergic rhinitis in primary care also includes specific recommendations for allergy testing. Let me also comment on the GINA guideline, or the Global Initiative for Asthma document, which was most recently published in 2016. There is a strong endorsement for the broad use of allergy testing to identify sensitization, either by skin testing or by specific IgE blood testing, as a guide to implement allergen avoidance strategies, potentially initiate immunotherapy, as well as help guide pharmacotherapy. So, Dr. Wojtczak, back to my patient: So, just to refresh, he’s a 13-year-old whose got a longstanding cough, runny nose—on exam, inflamed conjunctivae, allergic shiners, rubbing his nose frequently during his visit. How are we going to operationalize this for my patient? Well, this is a clinical scenario that I see way too often every day in the clinic. Your patient has symptoms that are not under control. Allergy testing would be recommended to identify triggers and to determine strategies for avoidance and need for immunotherapy. It could also help determine whether the allergens are seasonal or perennial. For instance, this child’s symptoms worsening at night would raise my concerns for an indoor aeroallergen such as dust mites, animal dander, cockroach or mold. In terms of what tests I would recommend for this child, at the primary care level, one should feel comfortable considering ordering a specific IgE allergen blood panel on a patient like this as a starting point to help determine whether sensitization exists, or if the patient has a negative panel, whether the diagnostic evaluation should proceed in the non-allergic direction. So, primary care providers should be comfortable performing this blood test and interpreting the results. However, if the results are confusing or the primary care provider is looking for assistance of a subspecialist, then referral to a clinician who can interpret the test might be indicated. A lot of times what I see is primary care managers will suspect an allergic problem and just start empiric treatment. For a lot of these patients, with nasal steroids now over-the-counter, or nasal steroids or inhaled steroids—will that impact any of this testing? That’s the beauty of the in vitro allergen-specific blood testing. They are not affected by any type of inhaled steroids, systemic steroids, antihistamines, leukotriene-modifying agents, tricyclic antidepressants. So now I have some ways to go with my young man to maybe make him feel better. Before we close today, are there any key points or takeaways you want to leave for our audience? Yes, John, there are several I’d like to emphasize, the first being that there are effective treatments for both allergic rhinitis and asthma, but oftentimes our patients’ symptoms either go undiagnosed or ineffectively controlled. Evidence-based guidelines strongly endorse the use of allergy testing as a critical component of assessment and even confirming diagnosis but is often not included in day-to-day comprehensive treatment. In fact, the asthma multi-disciplinary team should all be well-versed at all aspects including allergen testing. I’m speaking about an asthma nurse or a nurse practitioner, respiratory therapist, and the provider should work as a team and understand who’s going to be the person to address the allergy testing piece with our patient. In general, a rule of thumb, referral to a specialist from a primary care provider should be considered when we’re not meeting the goals of asthma or allergic rhinitis therapy, or if a patient is of younger age, say below the age of 2 or 3. It’s great for me to know that allergic testing can make a difference and improve my patients’ outcomes. Dr. Wojtczak, it was great having you on the program. Thank you for your time today. John, thank you for inviting me to participate in this important discussion, and have a great day. This CME activity has been provided in partnership with Prova Education. 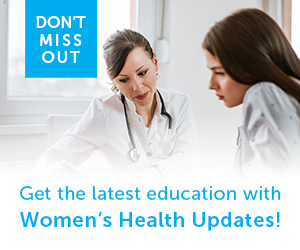 To receive your free CME credits, visit ReachMD.com/Prova. Thank you for listening. Learn why allergy testing is crucial to the successful management of AR and asthma and its appropriate use to improve patient outcomes. Allergic rhinitis (AR) and asthma are common allergic respiratory conditions. In fact, AR is a major factor in the development of asthma. Medical costs associated with these two conditions are high, but can be reduced considerably when following evidence-based diagnosis and treatment guidelines, which include allergy testing and avoidance of relevant allergens. 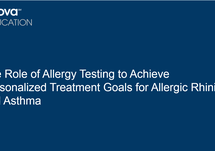 The goal of this CME activity is to help clinicians understand the rationale for allergy testing for people with AR and asthma and incorporate the results from allergy testing into a comprehensive evidence-based treatment approach. Dr. Russell is part of the speakers bureau for Sanofi Pasteur. Dr. Wojtczak receives consulting fees from Vertex Pharmaceuticals and is a speaker for non-CME services for AstraZeneca, Chiesi, Gilead Sciences, Thermo Fisher Scientific, Vertex Pharmaceuticals. Deborah Lee, BSN, RN-BC, CCRP has nothing to disclose. The goal of this activity is for clinicians to improve interprofessional collaboration and teamwork as a means of improving healthcare delivery for patient with AR or asthma. Describe the burden of AR and asthma in terms of impact on quality of life and costs to the healthcare system. Develop a personalized allergy testing approach for individual patients based on a clinical history. Incorporate the results from allergy testing into an interprofessional, team-delivered, comprehensive, evidence-based management strategy for patients with allergic rhinitis or asthma. This activity is intended for primary care providers (family/internal medicine), pediatricians, pulmonologists and other healthcare professionals who are involved in the management of patients with AR and asthma. This activity is supported by an independent educational grant from Phadia US Inc., a part of Thermo Fisher Scientific.